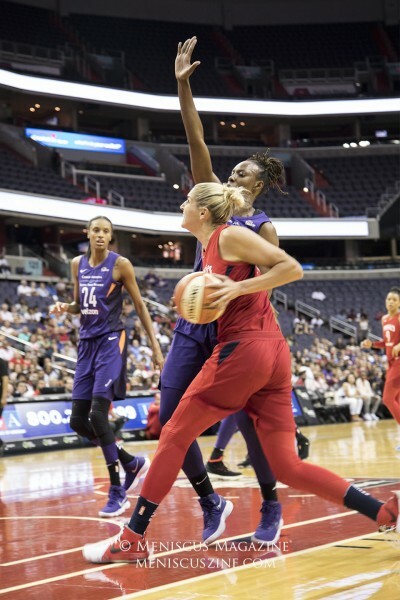 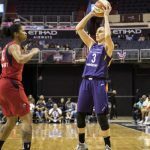 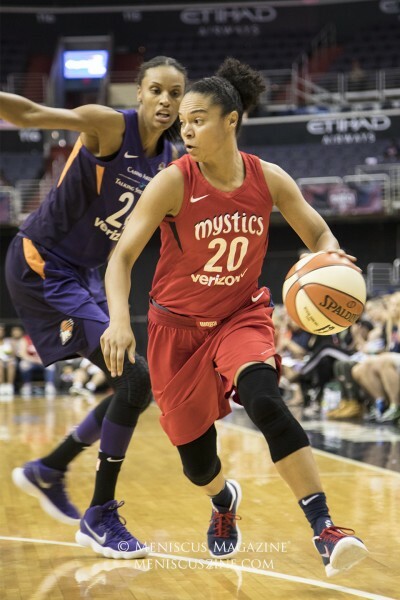 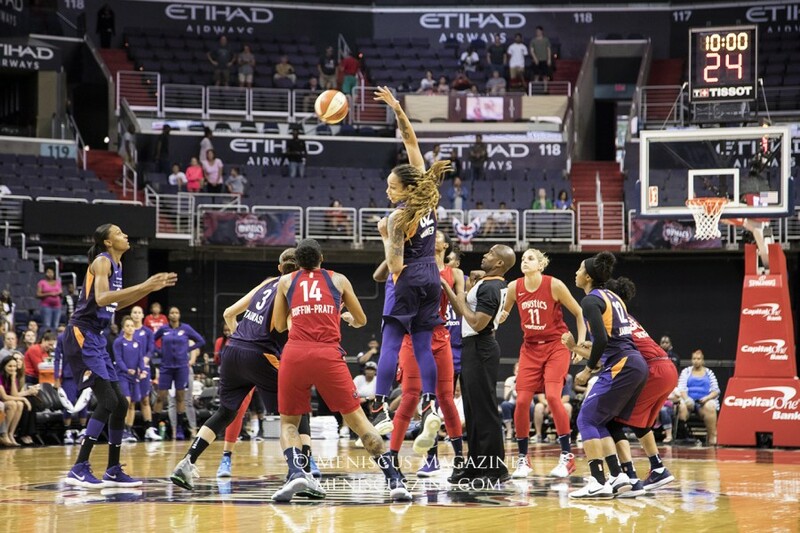 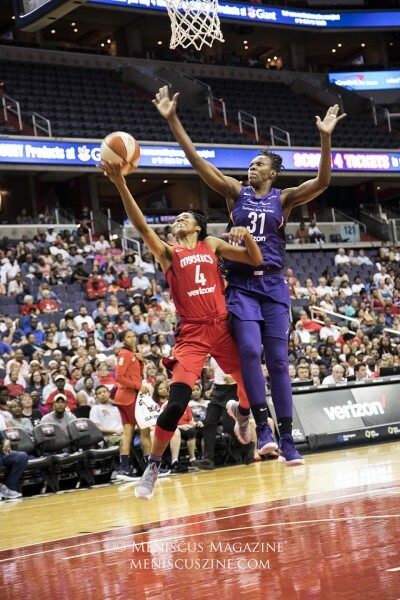 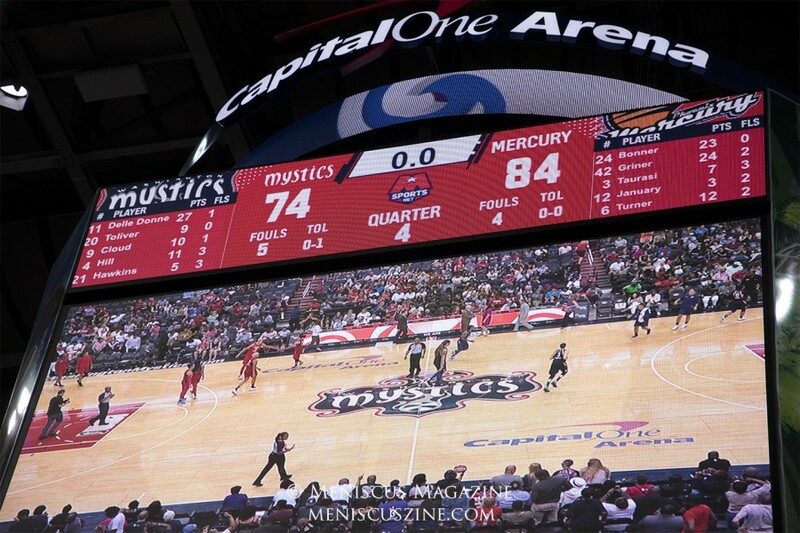 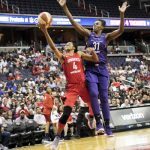 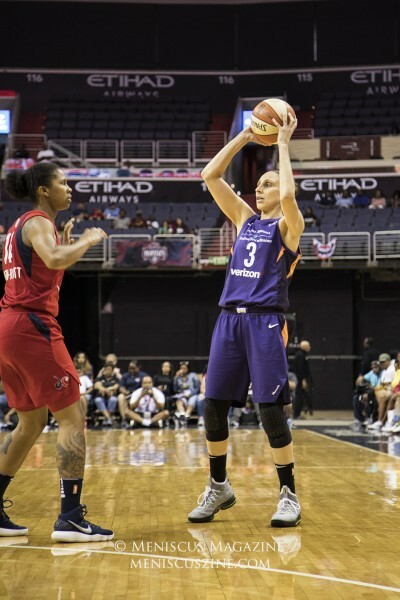 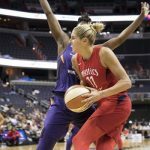 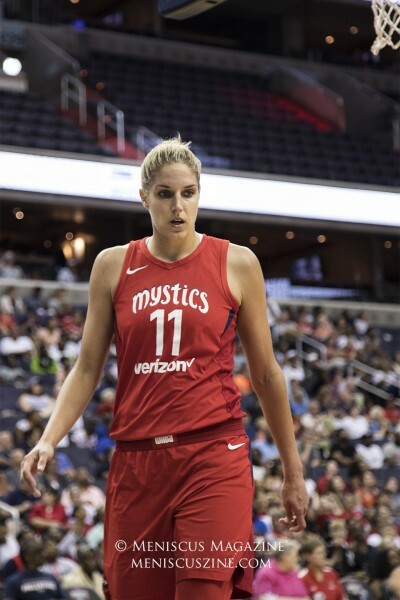 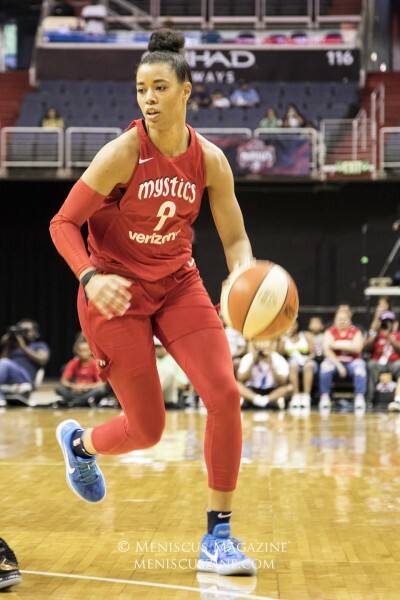 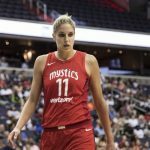 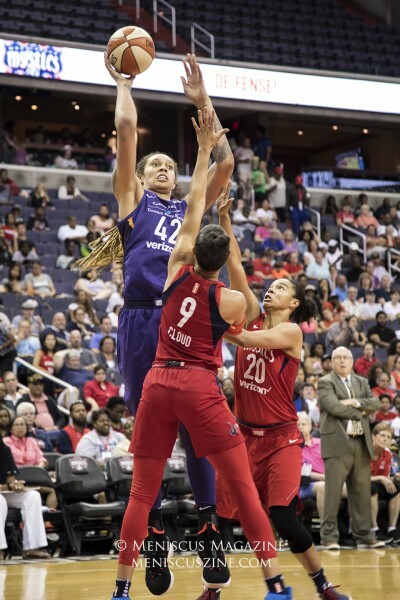 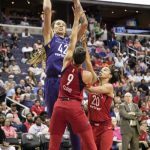 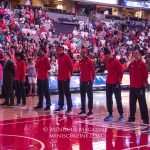 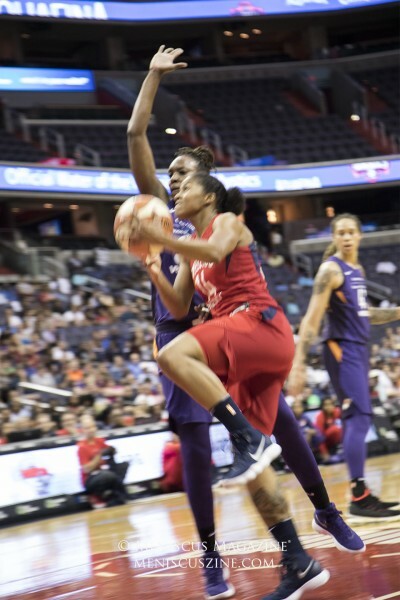 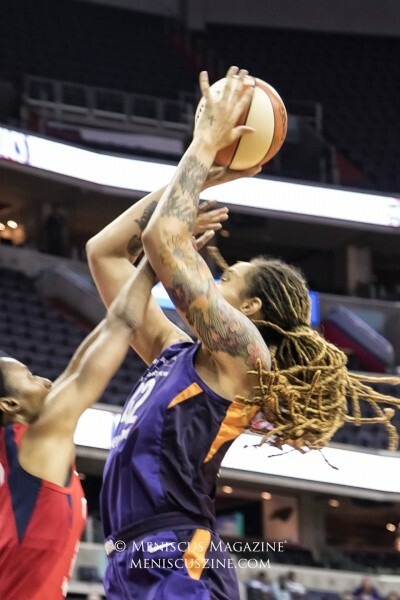 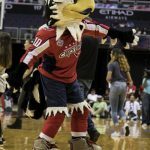 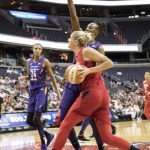 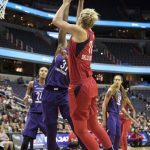 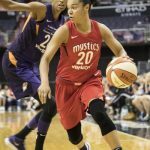 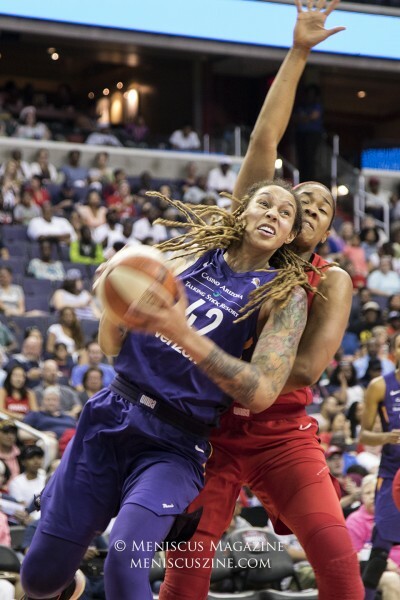 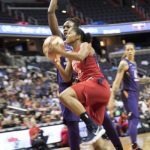 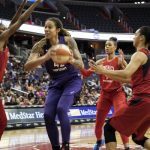 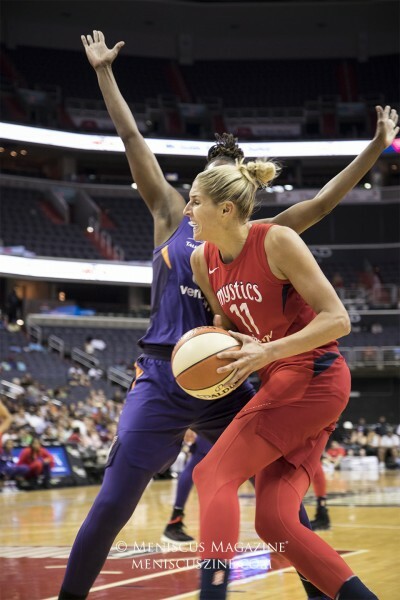 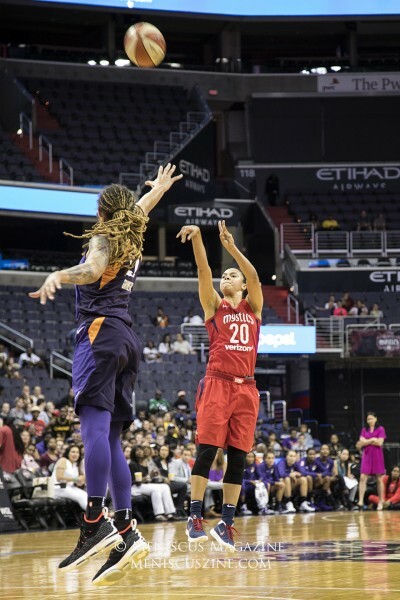 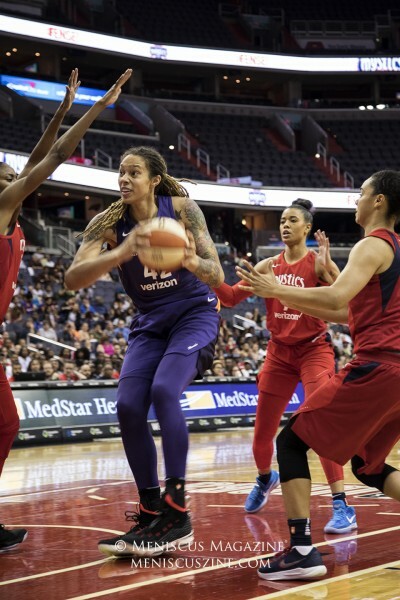 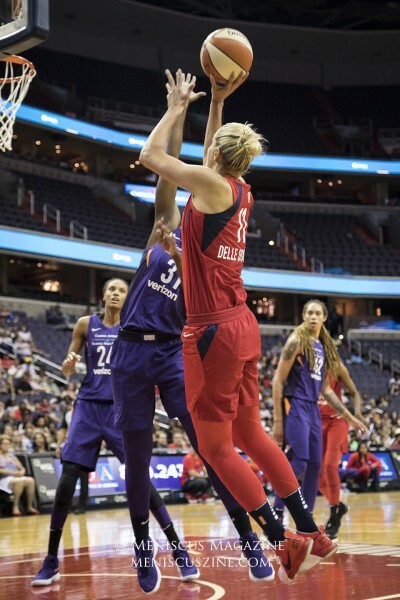 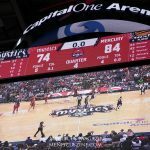 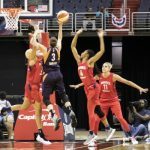 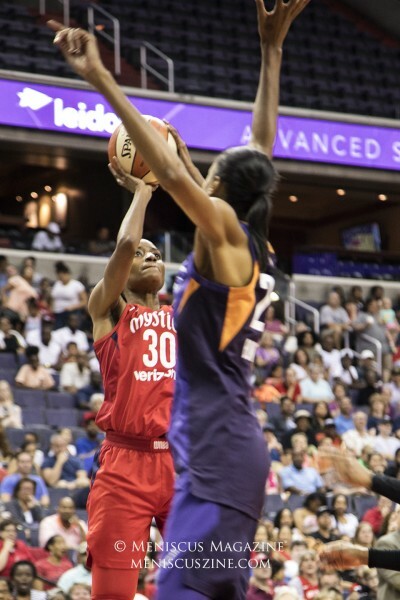 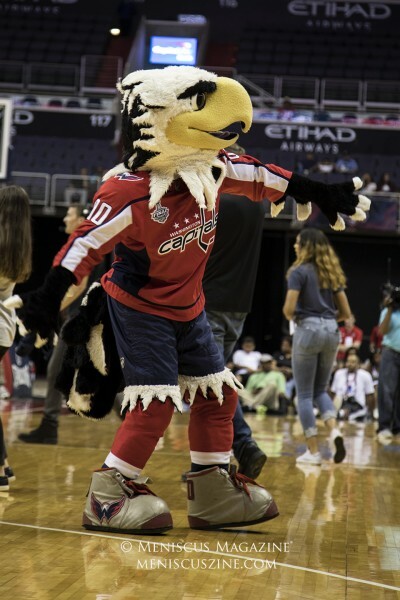 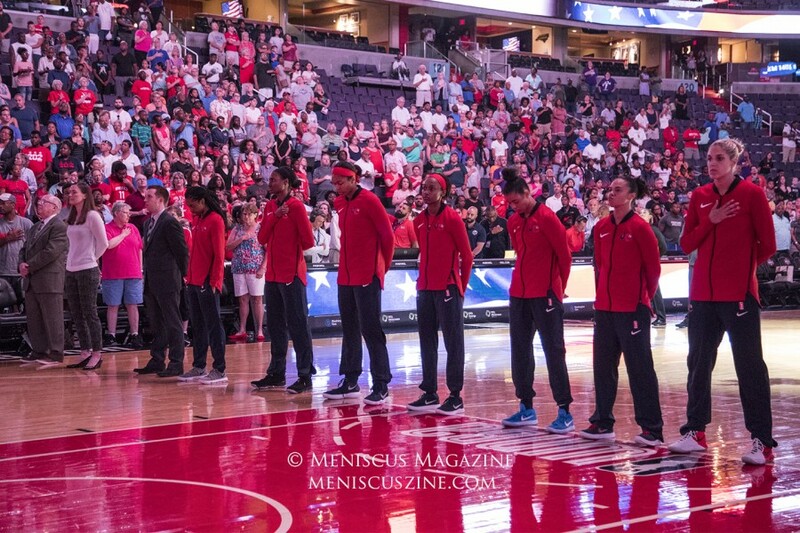 June 30, 2018, Capital One Arena, Washington, D.C. – Behind by just four points at the half, the Mystics (10-6) managed to tie the Phoenix Mercury (13-5) three times but were unable to take the lead in the second half, eventually losing by 10. 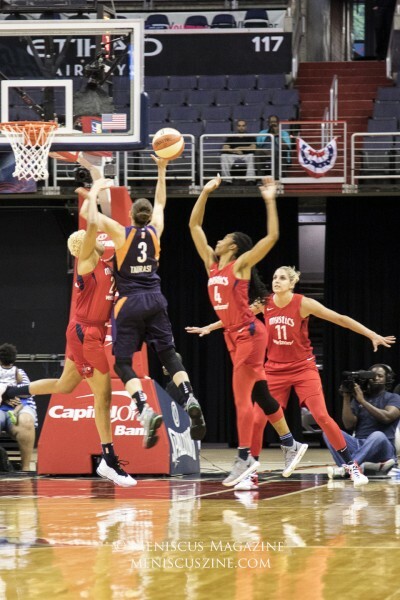 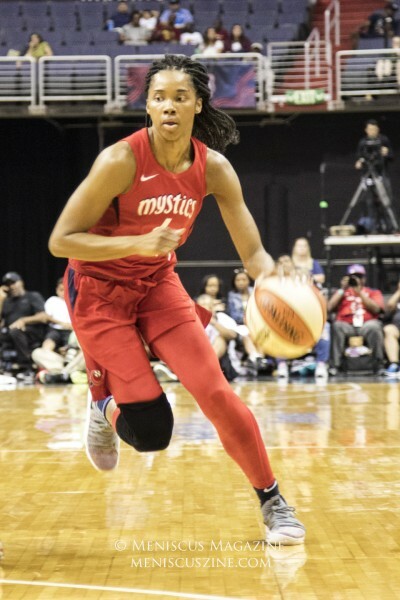 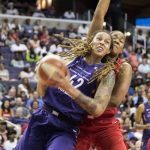 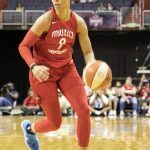 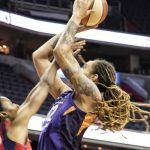 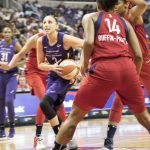 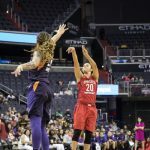 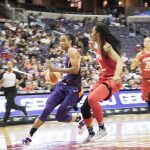 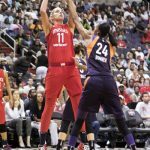 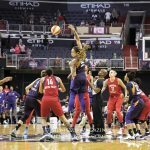 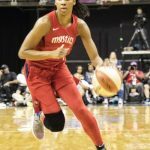 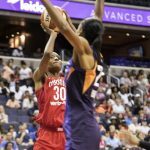 With the teams playing almost equally in every set of statistics, the Mystics were unable to overcome the eight additional chances the Mercury had at the free throw line. 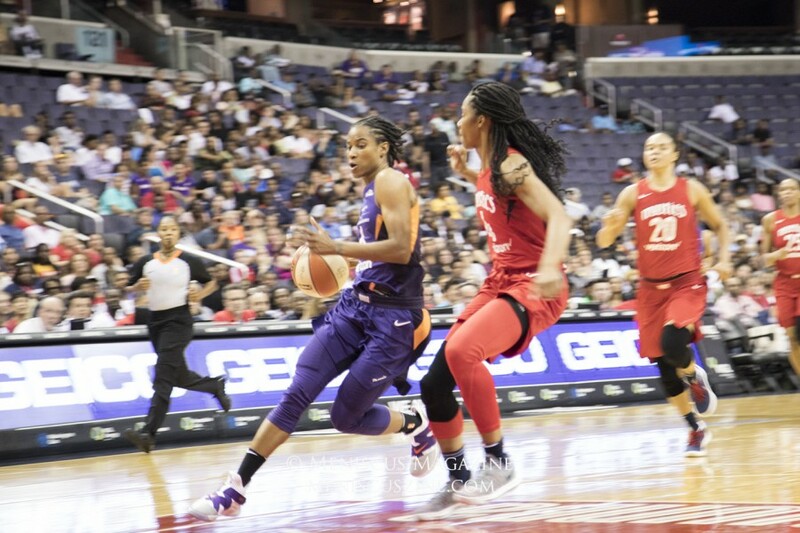 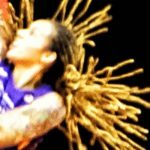 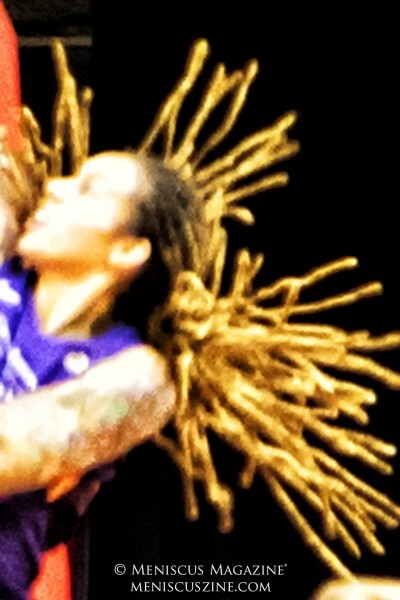 The Mercury’s Brittney Griner and DeWanna Bonner scored 24 and 23 points respectively. 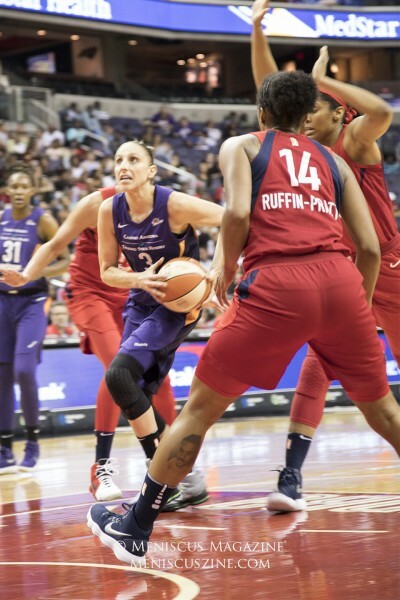 Even with an off-shooting-night, making just two 0f 13 shots, Diana Taurasi recorded nine assists in Phoenix’s win. 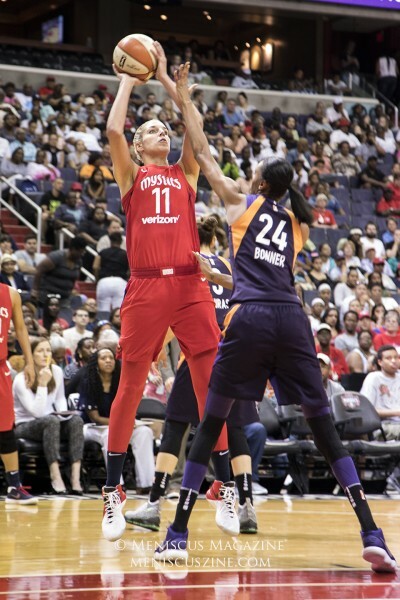 Mystics forward Elena Delle Donne was the high scorer in the game with 27 points and the game’s high rebounder with 13.